Hon. Michael D. Cook - Mediator based in Bourbon, Indiana. Hon. 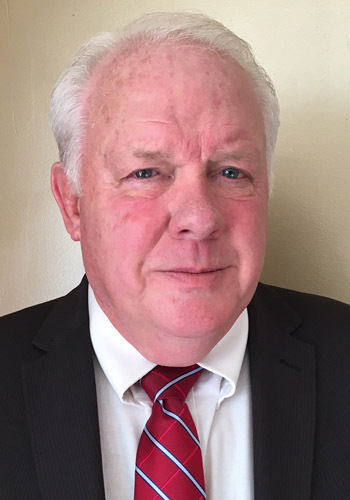 Michael D. Cook's judicial career began shortly after his admission to the Bar in 1978 when Governor Otis R. Bowen appointed him to the Marshall County Court Bench. He was elected Judge of the Marshall Circuit Court in 1980 and was reelected in 1986, 1992, 1998, and 2004. Thousands of cases were processed under his judicial administration, and he presided over numerous bench and jury trials involving motor vehicle accidents, premises liability, contracts, product liability, medical malpractice, employment and other issues. He was selected by attorneys from around the state to serve as Special Judge on cases pending in other counties and many cases were also venued to the Marshall Circuit Court from surrounding counties during his tenure. His service as a jurist was recognized by both Governor Otis R. Bowen and Governor Frank O'Bannon by naming him a Sagamore of the Wabash in 1978 and 1997 respectively. After serving more than twenty nine years as a trial court judge in Indiana, he began his career as a full-time civil nediator in March 2008. He has now mediated over 2,000 cases involving the same issues he tried as a judge and continues to mediate more than 200 cases a year. Michael D. Cook’s fee for mediation services is based on an hourly rate of Two Hundred and Fifty Dollars for preparation time, time spent in mediation session and travel time that exceeds one hour. There is no charge for the first hour of travel. All miscellaneous expenses are itemized. The fees and expenses will be divided between counsel as the Court may order. Expenses incurred that are not a part of a Court Order will be apportioned equally or charged to the party incurring the costs as appropriate. Payment of the fees and expenses is considered the responsibility of the attorneys involved in the case being mediated and not their clients. hael D. Cook’s and Terry Shewmaker’s fee for mediation services is based on an hourly rate of Two Hundred and Fifty Dollars for preparation time, time spent in mediation session and travel time that exceeds one hour. There is no charge for the first hour of travel.